"There are not enough priests in the military to service all Catholics, which is why the government contracts with members of the clergy to celebrate Mass, baptize children, and the like. But last weekend, many Catholic men and women in the armed forces were denied their constitutional right to practice their religion: non-active duty priests who are hired as government contractors were furloughed due to the partial government shutdown. "The inter-party battles between Republicans and Democrats are of no particular interest to the Catholic League, but the denial of First Amendment rights are. There is absolutely no excuse to deny Catholic members of the armed forces access to their clergy. 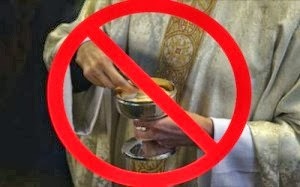 Worse, the very idea that a non-active duty priest who volunteers to say Mass may be arrested is shocking: this is the kind of thing we would expect from totalitarian regimes. "While both parties are to blame for the shutdown, it is the Obama administration that has decided to war on the civil liberties of Catholics; it has had plenty of practice. It is one thing to deny services that carry no constitutional weight, quite another to censor the First Amendment. "A resolution was passed in the House on Saturday calling on Secretary of Defense Chuck Hagel to allow these priests to resume their duties. The Senate has thus far done nothing. "Catholics are urged to ask their senators, and Secretary Hagel, to end this disgraceful assault on the constitutional rights of Catholics immediately."